MacSpeaker is was a program for audio measurements, above all, loudspeaker measurements. However, I stopped maintaining MacSpeaker a long time ago. I lost all the program-code because of a disk crash (thank you Quantum). MacSpeaker was designed for the ‘Classic’ Mac OS 7–9 and does not work anymore with current Macs. As a replacement for MacSpeaker I recommend MATAA, which is a much more powerful tool than MacSpeaker. This is how I described MacSpeaker in in the good old times of Classic MacOS 7: MacSpeaker makes use of the Macintosh sound hardware so that you do not need an expensive Analog-Digital conversion card. You only need a measuring microphone and perhaps a microphone amplifier. You will get a professional measuring system at a fraction of the price of comparable systems! Because the Macintosh has excellent sound hardware, the measurement accuracy of MacSpeaker is comparable to professional systems: 44.1 kHz 16-bit sampling; that is, CD quality. MacSpeaker controls all important loudspeaker measurements: From the measurement of the impulse response, a Fourier transform computes the frequency response of the loudspeaker (absolute and phase). 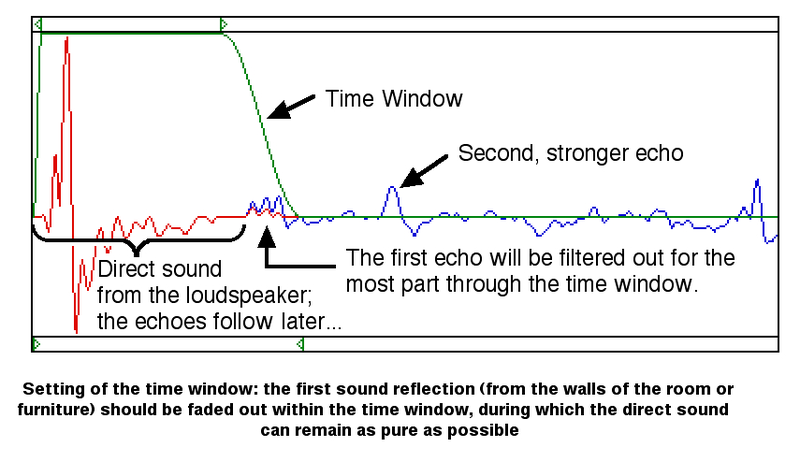 Measurement errors due to unavoidable sound reflection from the walls can be filtered out. Thus, with MacSpeaker, you can measure the «frequency response in an anechoic chamber». Additionally, MacSpeaker can compute a so-called «waterfall diagram». This reveals the resonance behavior of the loudspeaker plotting time over frequency and amplitude. As a special feature, MacSpeaker can use an optional user-defined signal as measurement signal. Thus, for example, you can make burst or distortional measurements. With a little bit of imagination, you can fulfill your various desires.